Before trying any pool, make sure you know the rules and regulations for Isle of Man Pools as they may not be exactly the same as in your home town. We recommend you contact the pool directly to ask if you will need to have a hat, and what style of footwear or specific clothing you will need. The most beneficial Isle of Man Pools are located primarily in big cities, but it's also simple to discover public pools in rural places. Traveling to Isle of Man? This can be the perfect spot on the net to find places to swim in Isle of Man. Every day you are not swimming you might be losing precious time in improving your skills to be a much better swimmer! No far more excuses! 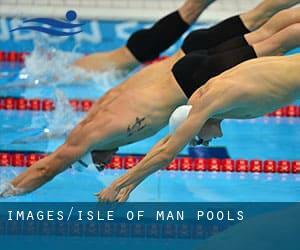 Come across your nearest Isle of Man Swimming Pool and tell us how it went. Do you realize of any Pools in Spain that should really be listed here? Contact us!. Are you a frequent swimmer? Have you ever practiced Aquagym in Isle of Man? Let us know!. For Isle of Man and its vicinity, we're showing you all of the registered pools, some of them have no GPS coordinates and can't be identified on the map at the map. 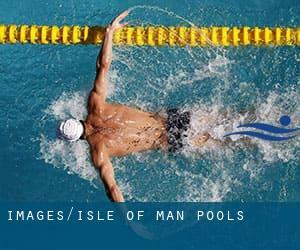 Enjoy the best indoor pools in Isle of Man and don't worry about the weather. These facilities are open all seasons and you can enjoy a swim at the same temperature every day of the year. There are several factors why you should choose a heated swimming pool in Isle of Man. Essentially the most very important one relies on the importance of keeping the body temperature stable. If the water is too cold, your body will try to warm it up and you will lose strength to swim appropriately. Swimming is a outstanding thought to keep your body active in the course of your visit to Port Erin (Isle of Man), or even if you are a local. Swimia helps you to find your closest Pool in Port Erin. It's difficult to visit Isle of Man without having dropping by Douglas (with 26.218 residents). Currently Swimia is showing you all of the Swimming Pool in Douglas and the closest pools located in its vicinity. Updated on 2019 Glencrutchery School PoolOff Glencrutchery RoadDouglasIsle of ManIM2 6EB. Swimmers like you reported 25 meters, 1 lanes, 1m depth, Indoors. Phone number and e-mail address are number for this Swimming Pool. Groves Road , Douglas , Isle of Man , UNITED KINGDOM (Postal Code: IM2 1RB). Swimmers like you reported 25 meters x 20 meters, 8 lanes, Indoors. Phone number and e-mail address are number for this Swimming Pool. Arbory Rd. , Castletown , Isle of Man , UNITED KINGDOM (Postal Code: IM9 1HA). Among all the activities supplied by the center, for anybody who is considering swimming you can expect to appreciate 25 meters x 7.5 meters, 4 lanes, Indoors. If you might want to make contact with this Pool, email address and phone number are both number. Mooragh Promenade , Ramsey , Isle of Man , UNITED KINGDOM (Postal Code: IM8 3AB). Swimmers like you reported 25 meters x 13 meters, 2 meters maximum depth, 2 meters maximum depth, Indoors. Phone number and e-mail address are number for this Swimming Pool.